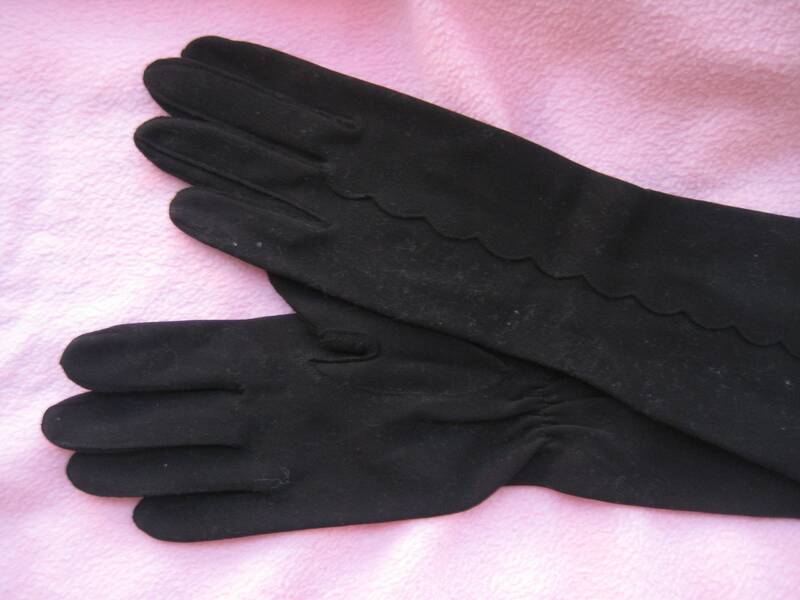 Hey Mrs. Maisel, your gloves are here! 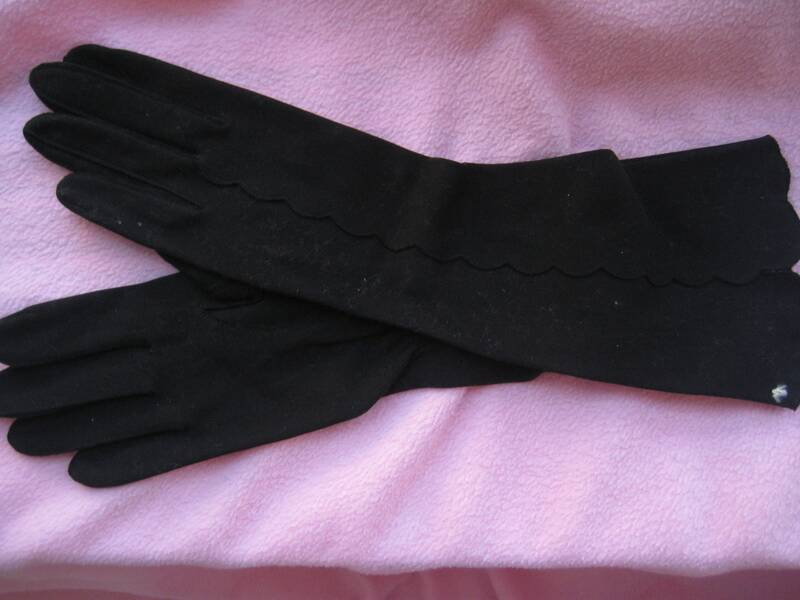 Vintage black cotton gloves that are still tacked together and a label that says, "washable." Really nice with a scallop design along the upper arm side. 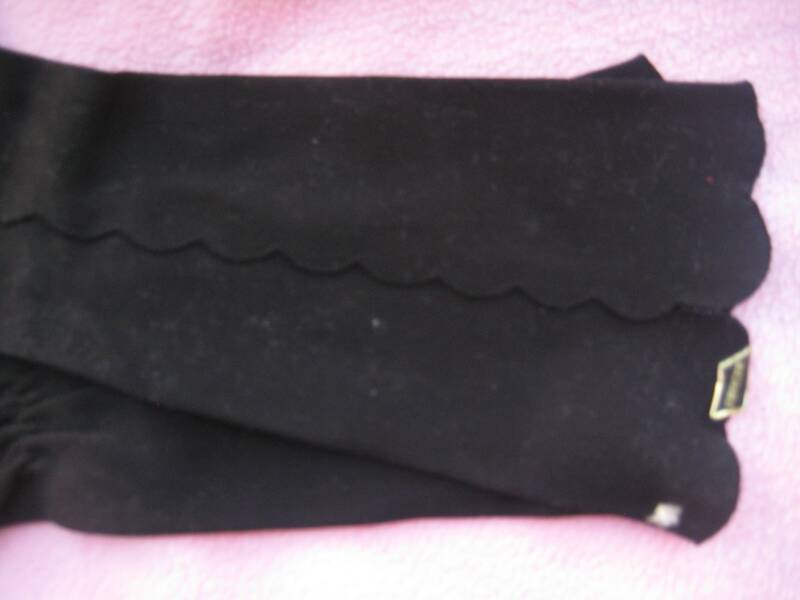 Same pretty scallop edging on the cuff end. Elastic gathering at the inside wrist. The picture does not do justice to the gloves. The photo picks up every piece of dust but they are pristine. Size small. 14 inches long to stop just below the elbow. 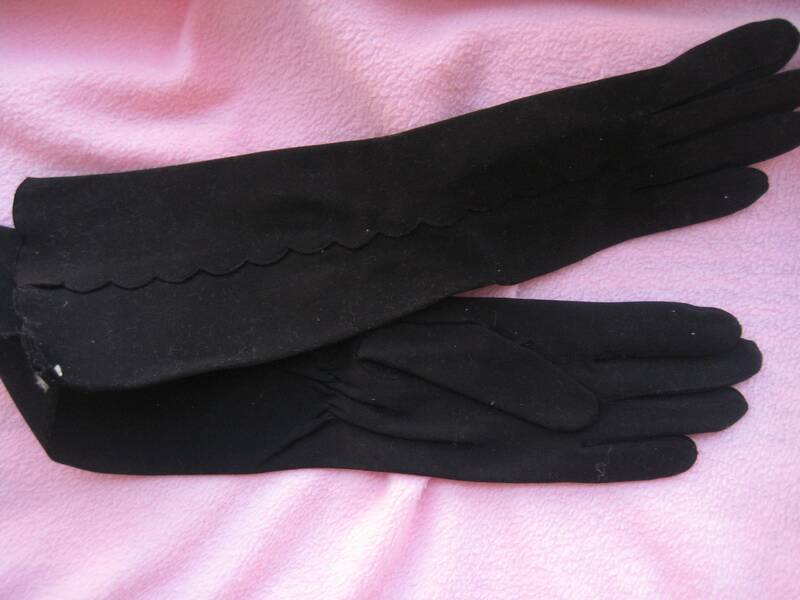 Chance to have a new pair of vintage gloves for your vintage suit just like Miriam!